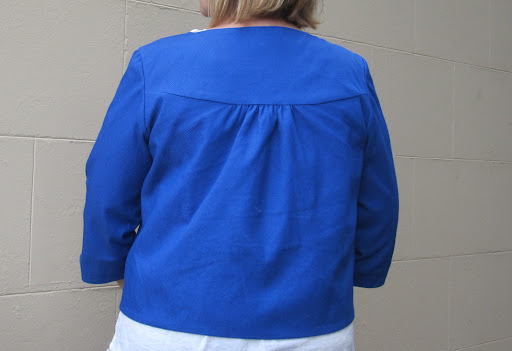 As promised, here are pictures of the jacket I made to go with this dress. 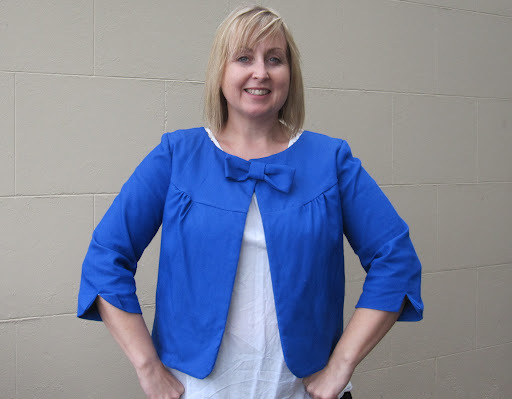 I used Simplicity 3538, a Project Runway pattern. I made the longer view with the gathered front and straight vented sleeves. 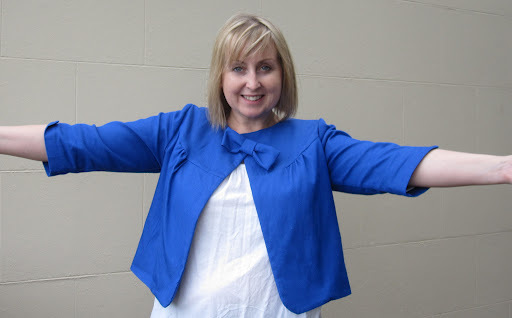 This jacket is super comfortable and seems to go with loads of my existing wardrobe, so even though I know I won’t get a lot of wear out of the dress, the jacket is going to get a lot of wear especially at the moment with our semi-warm days, too cold for a t-shirt, but too hot for a heavy jumper. This was a super easy make although I did change the instructions slightly to get a cleaner finish on the inside. 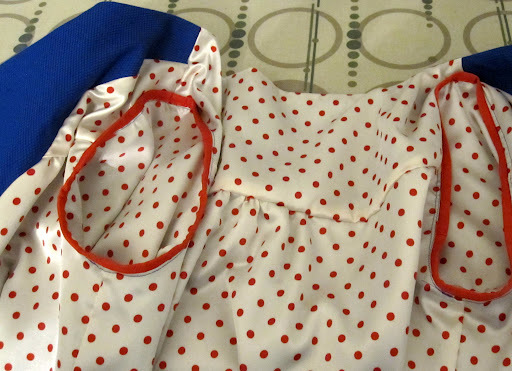 The pattern calls for a separate facing and then full lining underneath, but I combined the two so the inside only has seams around the armholes, which I have bound in red bias binding. I know I could have done it with no visible seams at all, but I was on a tight time frame as I was trying to finish it the night before I needed to wear it. As it turned out, the weather was lovely for the wedding and I didn’t require the jacket after all. It's lovely, you've done an excellent job and it will go with so much. THis is sooooooooooo cute.. And I love,love the polka dot lining. 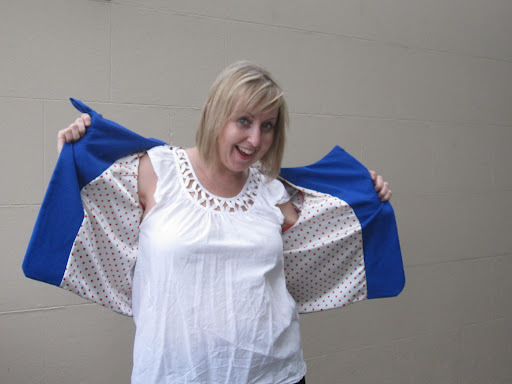 I am going to have to make this jacket..
Oh my I love it so much! Id buy one if you started to sell them! Cutest thing ever! Thanks – it goes with heaps of things, a good wardrobe addition! Let me know when you do, I would love to see your version! Love love love!!! You did a fantastic job of the lining I wish my jackets turned out this pretty!!! Your so clever!! I'm WAY behind on my blogroll, but I just wanted to say that this is adorable! I LOVE it!